Nestled beside the sparkling water of the Ross R Barnett Reservoir northeast of Jackson, our delightful community in Southeast Ridgeland has something to offer all walks of life. Between easy access to nature, shopping, and fantastic dining, there is no shortage of opportunities to get out and enjoy life. This neighborhood is also home to Holmes Community College and K-12 schools. Located off I-55, it is an easy drive to downtown Jackson, where you’ll find all the offerings of a larger city. Southeast Ridgeland offers all the conveniences you desire in a laid-back MS, suburb. 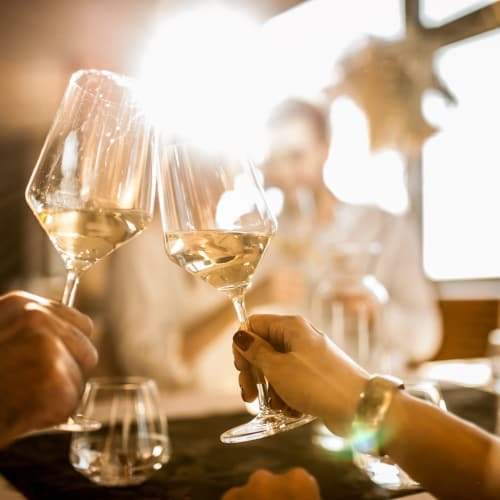 Whether it’s fine dining at Ely’s Restaurant & Bar or grabbing a quick bite at Green Ghost Tacos, you’re sure to find a restaurant in the neighborhood that caters to your palate. Whether you choose to go shopping at Northpark Mall or Madison Station, taking the dog for a walk at the Natchez Trace Multi-Use Trail, or spend a day on the water at the Ross R Barnett Reservoir, life at The Mark Apartments can be as busy or relaxed as you make it. Start living your best life today. Schedule a tour of The Mark Apartments today.